KSB is one of the world's leading manufacturers of pumps and valves. The company specialises in centrifugal pumps, valves and services. KSB is renowned for having the highest technical recognition for pumps and valves. KSB offer various types of pumps including submersible pumps, waste water pumps and circulation pumps. KSB's products can be applied in industry, construction, engineering applications as well as waste supply, mining and energy. EquipNet is constantly receiving used KSB equipment through our exclusive contracts with our clients. 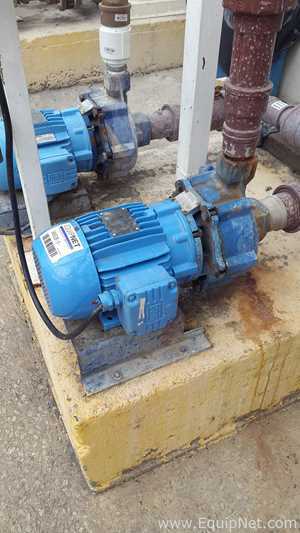 Our inventory of used KSB equipment includes an 'Unused Meganorm 100-400 Centrifugal Pump with motor rated 250000L HR', a 'KSB 125-40 Fire Pump system with Mercedes Benz OM 352 Engine', a 'Stainless Steel 3HP Centrifugal Pump' and much more. If you do not see the used KSB equipment you are looking for, call one of our representatives and we will find it for you. We can also source the right tooling and change parts that you need through our huge network of corporate clients from around the globe.